Founded in 1924 and still located in the town of Sant Sadurni d’Anoia, Cavas Recaredo today owns 46 hectares of vineyards in the Alt Penedès region. The vines, some of them nearly 80 years old, are unirrigated. All farming is organic and biodynamic (certified since 2010). Harvesting is manual. Only vintage-dated, totally dry sparkling wines are made and only from estate-grown grapes. All vinification is done in house. The musts from the oldest Xarel-lo vines are fermented and matured in oak barrels; some of the base wines are matured several months in oak as well. Immediately after bottling, the bottles are sealed with cork stoppers, not crown caps. Riddling is performed by hand. All disgorging is manual and done at cellar temperature; contrary to the practice of many sparkling wine producers, the necks of the bottles are not frozen before disgorging. None of the wines is dosed. Macabeo (54%), Xarel-lo (42%) and Parellada (4%) from organically and biodyanmically farmed vines rooted in highly calcareous, loamy soil. Whole-cluster fermented with indigenous yeasts in stainless steel tanks. Around 10% of the blend was aged in oak casks. Bottled with neutral Saccharomyces cerevisiae yeast for second fermentation and matured five years on the lees. 190,000 bottles made. Reducing sugar: <1.2 g/l. 12% ABV. Quebec agent: La QV. The first vintage of Recaredo’s Brut de Brut made from a single estate, in this instance the Serral del Vall. Xarel-lo (51%) and Macabeo (49%) from organically farmed vines 16 to 28 years old and rooted in extremely calcareous, loamy soil with an abundance of stone and gravel. The wine-making was as for the Terrers with two exceptions: before blending, all the Xarel-lo was matured in oak casks and the blended wine is bottle-matured eight years. 50,000 bottles made. 12% ABV. Quebec agent: La QV. If you’re not a fan of cava, these probably won’t make a believer out of you. If you are, you’ll have a hard time finding anything better at the price. 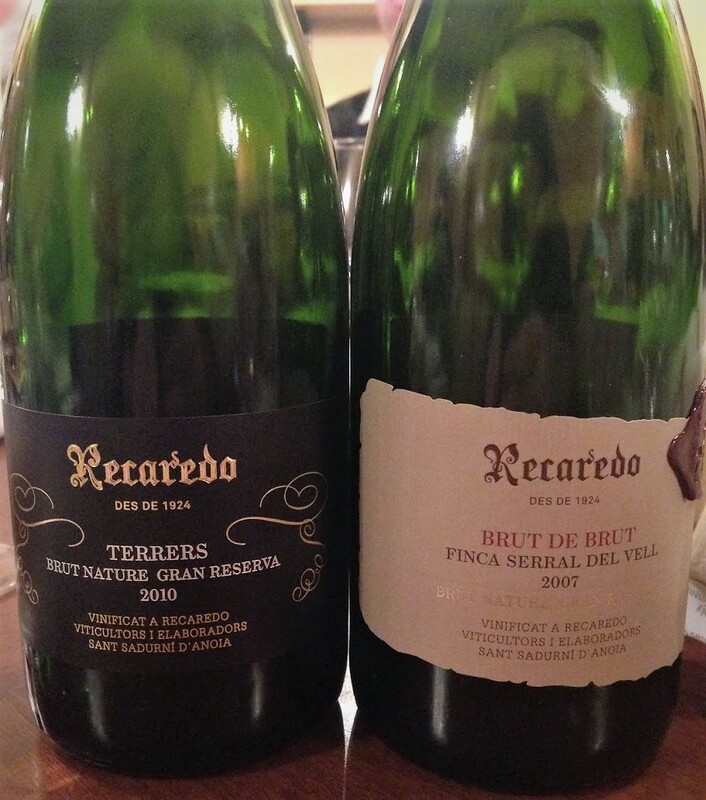 Incidentally, Recaredo’s high-end cuvées – the 2004 Reserva Particular ($107.00, 11458228) and the recently sold-out 2000 Turó d’en Mota Reserva Brut ($135.00, 11587118) – are formidable, meditation-worthy wines that, while unmistakably cavas, can easily stand comparison with similarly priced champagnes.